Preliminary design plans include the addition of a five-story tower consisting of 71 guest rooms. Preliminary conceptual rendering of the view from Eusan Park. 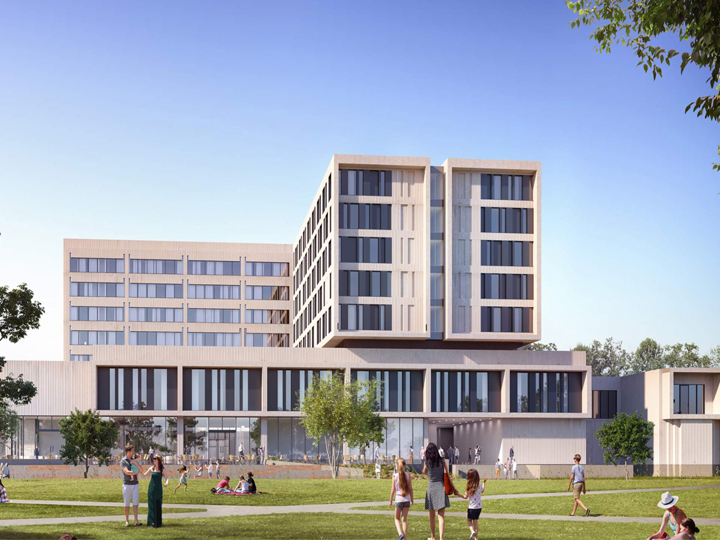 The Hilton University of Houston, the teaching hotel for students at UH’s Hilton College of Hotel and Restaurant Management, will undergo a $30.4 million expansion and renovation. “We can really provide better service to the University and a better experience for our students,” said Dennis Reynolds, dean of Hilton College. Preliminary design plans include the addition of a five-story tower consisting of 71 guest rooms, which will increase the hotel’s total number of rooms to 151. The hotel’s existing 80 guest rooms will also be renovated, and the lobby and public spaces will be updated with the latest in hospitality technology. The project is expected to be finished by early 2023 and is financed through a revenue bond issued by the UH System, which will be repaid with additional revenue generated by the hotel. Once an architect and contractor are selected, construction is expected to begin within 18 months. “This will complement the community immensely,” Reynolds said.